Netflix is testing changes to the way it charges iOS users for its monthly subscriptions – and that’s a move that will be of intense interest to the music-streaming world in the coming days and weeks. TechCrunch has the details, reporting that Netflix is testing a new subscription method in 33 countries where, instead of new and lapsed subscribers paying via the iOS in-app subscriptions system, they’re directed to Netflix’s mobile website to enter their payment details. This has historically been a big no-no for Apple, which has cracked down in the past on digital services – Amazon’s Kindle store most famously – that try to avoid giving Apple its 30% cut from in-app purchases on iOS devices. This money adds up too, in the music-streaming space: according to research firm App Annie, Pandora Radio was the fourth top-grossing non-game app across iOS and Android in 2017, with Spotify placing seventh in the same list. Netflix was the top of that particular chart, meanwhile. “We are constantly innovating and testing new signup approaches on different platforms to better understand what our members like. Based on what we learn, we work to improve the Netflix experience for members everywhere,” is how a customer-support assistant described the new strategy to TechCrunch – wording that was later repeated by the company’s spokesperson later. Our initial instinct was to wonder whether Netflix’s test would pave the way for Spotify to follow suit. Actually, it’s the other way around. “It was possible to pay for Spotify Premium using Apple’s in-app payment system (iAP). However, this has been discontinued for new subscribers,” explains the relevant page on Spotify’s support website, which was updated on 6 August. It goes on to explain how existing subscribers can cancel their in-app subscription and then resubscribe directly with Spotify. 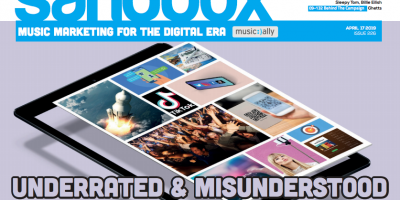 The music-streaming service’s decision to drop IAP as a subscription option for new subscribers, as far as we know, was introduced quietly and did not make headlines at the time. Spotify and Netflix aren’t taking the same approach. It has always been fine for services to sell direct subscriptions outside the iOS ecosystem; and to promote those direct subscriptions through their own properties; and even to not offer an in-app subscription option using Apple’s system – this is what Spotify is doing. What Apple has cracked down on, in the past, is services promoting their direct subscriptions (or a la carte purchases in Kindle’s case) within their iOS apps Even now, it’s not clear whether Netflix is doing this in its test: TechCrunch’s report seems to imply that some of its iOS users are only being allowed to log in to an existing subscription account rather than to sign up for an in-app subscription. Still, in a world where Apple has got a 30% cut of in-app subscriptions to the services that rival its own Apple Music – bearing in mind the already-challenging margins at play in this market – Netflix’s new test (and Apple’s response) will be fascinating to watch. And the fact that Spotify quietly removed the option for its new subscribers to use Apple’s in-app purchases, while unlikely to spark sanctions from Apple, is also highly interesting.